Yesterday, Nikon released new firmware for almost all of its current DSLR line-up, namely for the D4, D800, D600, D3, D3s, D3x, D7000 and D3200. Most of these updates only add full compatibility to the exotic new 800mm f/5.6E FL ED VR lens – a lens very few people will ever see or use. 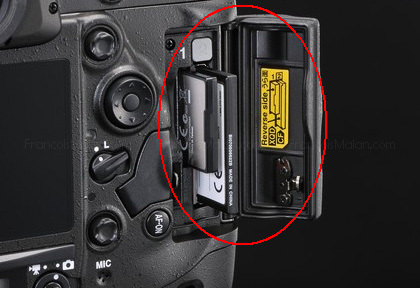 The highlight, for me, is the fact that Nikon has now finally addressed the uncompressed HDMI bug that frustrated D600 videographers. This issue used to be a reason for DSLR videographers to get the more expensive D800, and seemed like a lame up-selling scam on Nikon’s part. No more, it seems! Bottom line: the D800E misses a proper anti-aliasing filter. This probably does more harm than good, so buy the D800 instead, unless you absolutely need maximum per-pixel resolution and know how to avoid Moiré artefacts. Disclaimer: The D800/D800E are great cameras that differ in subtle ways. Making a purchasing decision based on these differences will necessarily involve “splitting hairs”, but that is probably why you are reading this blog entry, so let’s do that. I started writing this post before D800E reviews were available online. Now that it’s been tested by dpreview and DxO I have to admit that the D800E is less prone to Moiré than I expected it to be. Yet I stand by what I wrote in this post and I still advise you to get the D800 instead of the D800E unless you know exactly what you’re doing. Read on. 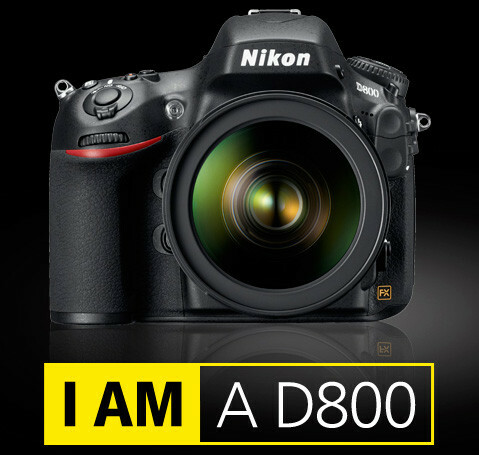 When Nikon announced their brand new D800 and D800E full frame (FX) DSLRs a few months ago, it was a breakthrough. These cameras push the limits in resolution beyond anything previously seen on 35mm and set new benchmarks in DSLR video capabilities. This is great news, because whether or not competitors come up with even better models, you (the consumer) still win. So, we know that they are excellent. All he reviews tell us so. The big question in photographers’ minds is probably whether to get the D800 or the D800E. The “E” sounds somehow more Exotic and Exclusive, and promises even sharper photos. Given this, the D800E’s 10% higher ($3300 vs $3000) price sounds justified. Sort of like a D800 “de luxe” edition, right? Not necessarily. It is always a good idea to keep your camera’s firmware updated. In Sony’s NEX series, for example, updates resulted in major usability improvements. For the Nikon D800/D4, updates fixed bugs that made it past quality control. No matter what brand you own, you win by getting the latest firmware. 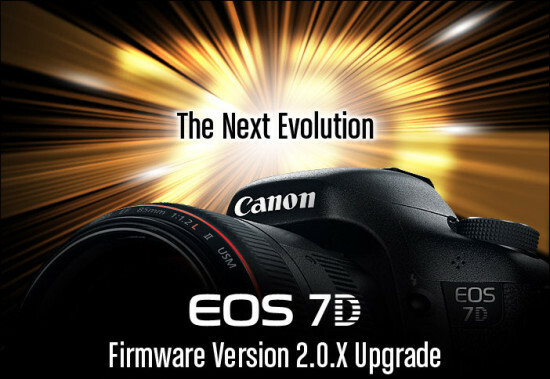 Now Canon 7D owners really have reason to rejoice since firmware update 2.0.X adds a lot of performance and usability improvements to what is already a very good camera. It is almost like upgrading to an even better and more expensive camera, only it’s free! Rumours (and even leaked photographs) are all saying that Nikon will soon be introducing the D600, a more affordable FX (full frame) camera. 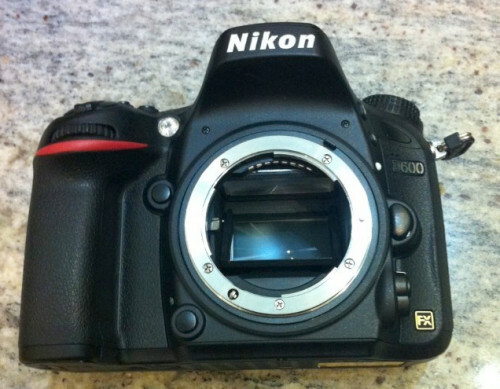 Leaked photograph of the new Nikon D600. Note the “FX” emblem. Allthough not 100% confirmed, I certainly see this as a sensible and welcome newcomer to their line-up. 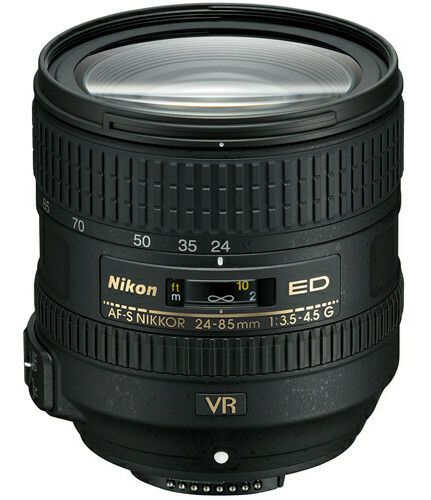 Yesterday Nikon paved the way to the D600’s release with brand new Nikkor 24-85mm F2.5-4.5 VR lens. On FX, this new lens will perform similarly to a 16-57mm F2.8 VR on DX (APS-C). The closest one gets to those specifications on DX, however, is with the expensive but built-like-a-tank Nikon 17-55mm F2.8, or Sigma/Tamron 17-50mm F2.8. The former lacks optical stabilization, while the latter two lack the Nikon badge, and risk more focussing and quality control issues. The D800(E) is upon us – video and resolution taken to the next level! This tuesday, Nikon officially released the Nikon D800 (and its twin sibling, the D800E). The D800 is an important model and will certainly find its way into the camera bag of many (if not most) pro Nikon “FX” shooters. It is already available for pre-order (B&H) so if you know you need it just go ahead and order – you are buying into the new Nikon semi-professional full-frame standard. extremely high resolution. The highest of any current main-stream DSLR. Key features: 36 Megapixel full-frame sensor. Live audio output for video sound monitoring. Uncompressed HDMI video output. The rest of the spec sheet pretty much consists of evolutionary tweaks and refinements. In future posts I will talk about what all this means. 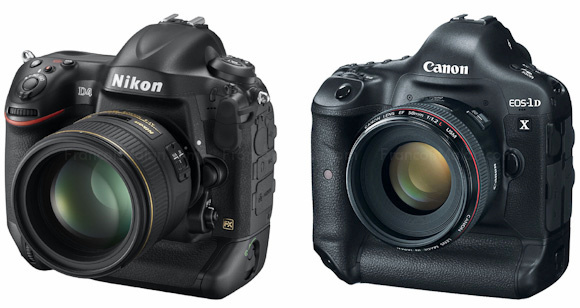 Is 36MP better than the Canon 5D Mk II’s 21MP, or the Nikon D700’s 12MP? 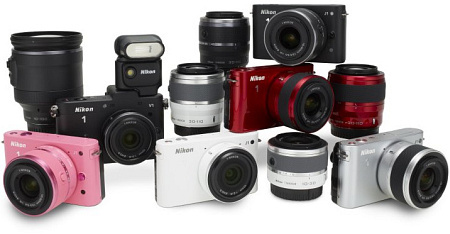 Is it worth it to buy this camera instead of the much cheaper Nikon D7000? What kind of person should consider this camera? What is the difference between the D800E and the D800? Stay tuned. And here it is! The new flagship of Nikon’s camera range, the D4 (posed next to its upcoming nemises, the Canon 1D X). When Canon announced their EOS-1D X in October, I made a quick side-by-side comparison with Nikon’s flagship at the time, the D3S. The new Canon featured a range of major improvements and was poised to make a grab at being the best 35mm professional DSLR money can buy. Notable was that the new Canon would only be available in March 2012, making the announcement a marketing move (for the time being). The question was what Nikon’s answer would be, since the D3S was still excellent, but already a few years old. And now we know – on paper. The Nikon D4 narrows all of the gaps that existed between the D3S and the Canon 1DX, but the Canon still holds the specification crown. These numerical differences will probably be less important than how the features are implemented, and without a hands-on comparison we will still have to wait at bit. Notably, the new Nikon excels in its video features, for the first time surpassing Canon. Actually that is quite a short list. All the other improvements are incremental. Slightly larger LCD, improved AF sensor (with same number of points), higher resolution, improved processing power, and tweaked ergonomics. Not a bad thing since these were already excellent on the D3S. But not head-turners either. The D3S was absolutely the best low-light performer of any full-frame DSLR, so if the D4 equals this it will still be great. One just can’t help noticing that Canon massively upped their game with the 1DX, and it seems that they might now have taken the lead – with a native ISO limit that is almost 4x that of the Nikon. One can’t help thinking that the D4’s boost range was doubled only so that the it could match the Canon’s 1D X impressive maximum ISO. What it will mean for noise I don’t yet know – we will have to wait for tests. Interestingly the D4’s biggest selling-point now seems to be its video features. Ironic, since only a year ago the situation was reversed, with Canon being the DSLR videographer’s choice, and Nikon leading in still photography performance. But progress benefits us all, and professional video shooters will be ecstatic with the Nikon D4’s uncompressed HDMI out – up to now only available on expensive dedicated video equipment, and notably lacking on any Canon DSLR. And the XQD card slot will prove a huge advantage for storing all those massive video files. Of course if you are already heavily invested in either manufacturer’s equipment, especially their expensive pro lenses, it might make little sense to consider a switch. But if you want to move into pro photography and have little or no existing commitment, this might be a moment to choose carefully. 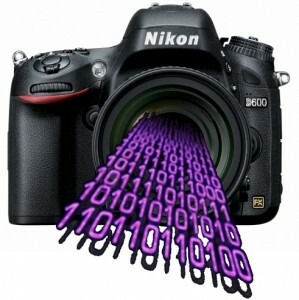 Yesterday, Nikon has released new firmware for their D5100 and D7000 DSLRs. Since they were launched this is the first update for the D5100 and the third update for the D7000, and correct a couple of very minor issues. If you own any of these and are happy with the way your camera works you may safely ignore the update. download the D7000 v1.03 update here. Don’t know how to upgrade the firmware? You can read the official instructions on Nikon’s site (see download links above), or just watch Jared Polin’s informal and verbose video – see below. To be honest Jared can really benefit by ranting less and keeping it shorter. But at least you now know how this works! Interested in any of these cameras? Support this site by ordering from B&H photo. Update: Since the Nikon D4 has been announced on 2012-01-06, I have also written a concise post about the Nikon D4 vs Canon 1D X.
Canon has thrown down the gauntlet with the announcement of its brand new flagship DSLR, the Canon EOS-1D X. This new camera is an extremely important new model for Canon, make no mistake about it. The 1 Nikon system came! The news is out! 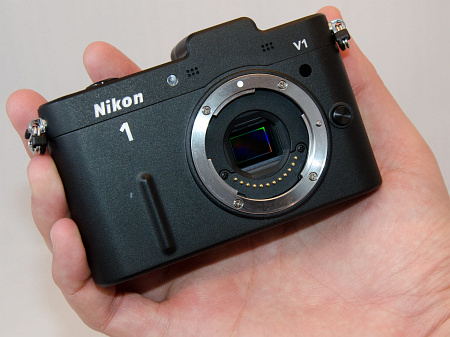 Nikon indeed came with a big announcement at midnight yesterday, and it is indeed a whole new system. Lots of accessories, already including 4 lenses, speedlight flash, GPS, external microphone and F-mount adapter. 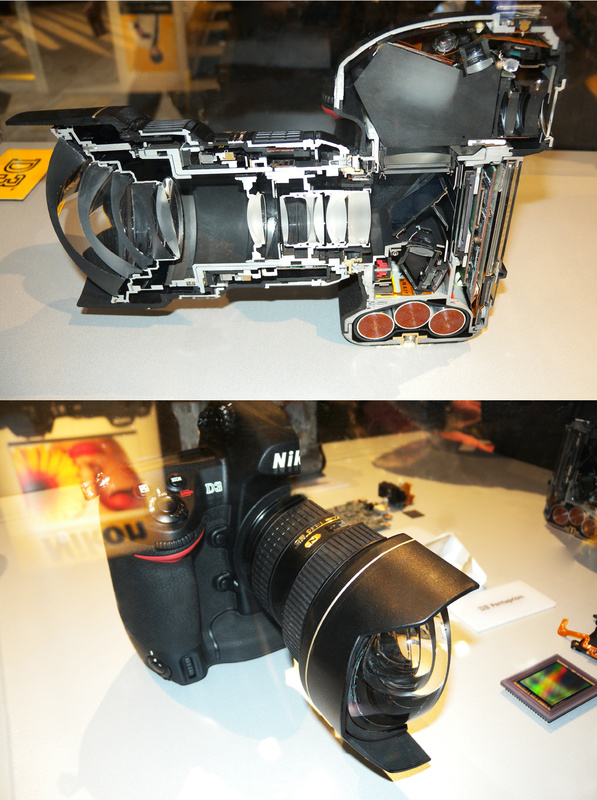 Ever wonder how a top of the line professional digital SLR would look if you sawed it in half? Now you don’t have to do it yourself (what a relief!). The guys at Nikon were friendly enough to halve a Nikon D3 with attached 14-24mm F2.8 lens. Half of a very expensive camera. Note the huge chunk of glass in the viewfinder – that’s the full-frame pentaprism. Auto ISO and flash on the Nikon D7000, D5100, D3100 etc. 12bit vs 14bit RAW and compressed vs uncompressed... Does it matter?